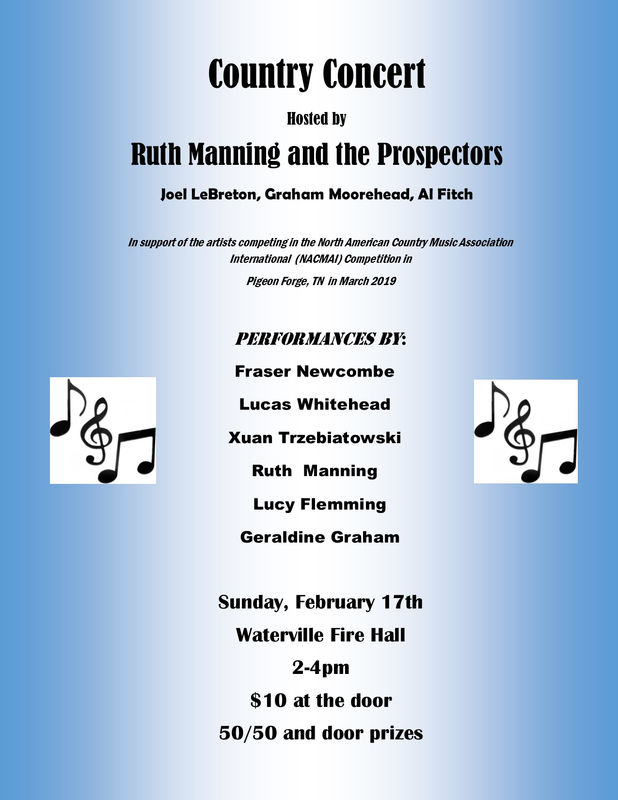 There will be a country music show hosted by Ruth Manning and the Prospectors and featuring the group of artists that will be competing in the North American Country Music Association International Competition in Pigeon Forge, TN in March 2019. 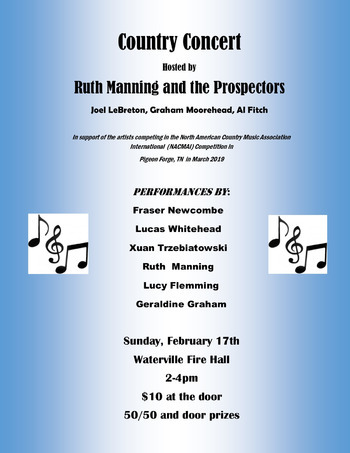 Performers include Ruth Manning, Fraser Newcombe, Lucas Whitehead, Lucy Flemming, Geraldine Graham and Xuan Trzebiatowski. There will be a 50/50 draw and door prizes.